Random And Some: "I suppose to some extent we envied the people leaving"
"I suppose to some extent we envied the people leaving"
I just finished reading Never Let Me Go by British author Kazuo Ishiguro. I stumbled upon the best novel of 2005 via Buzzfeed's 32 Books That Will Actually Change Your Life list. Never Let Me Go is divided into three acts, serving as a framework for protagonist Kathy to discuss, in a freelancing manner, the events in the three major stages of her life: at Hailsham boarding school, at The Cottages, and as a carer. At Hailsham, the guardians encourage the students to produce art and poems. The best work is then selected and taken away by a mysterious woman named Madame, with no explanation whatsoever. The students, of course, develop their own theories. Devastating and beautiful. Strange as it sounds, these seemingly incompatible words apply perfectly to Never Let Me Go. The hopeless tragedy of innocent students, just longing for a normal life, trapped inside a cruel and inescapable conspiracy, is absolutely horrifying and heartbreaking. The matteroffactness of Kathy's reflections only make the story that more touching. 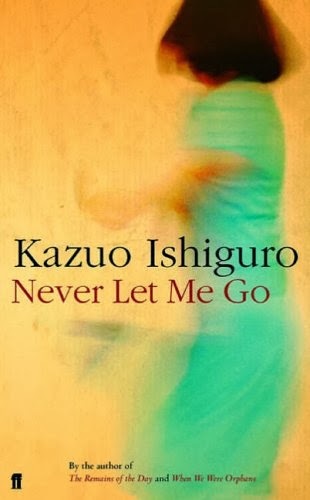 Be prepared for Ishiguro to move and disgust you. This book will not let you go.